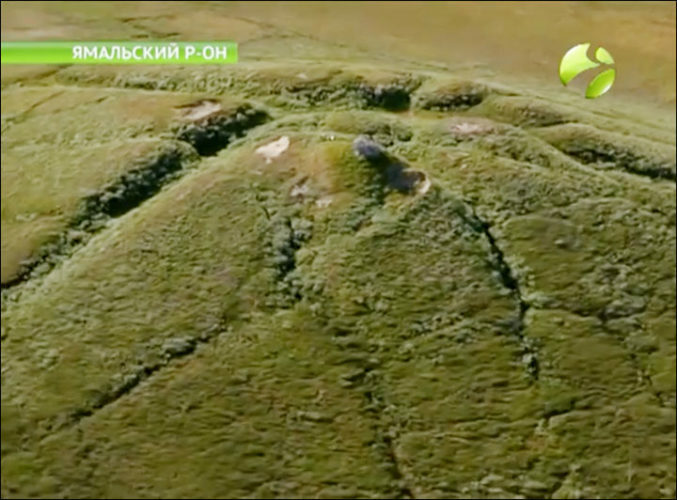 Last year, researchers in Siberia’s remote Bely Island made the bizarre discovery that the ground had started bubbling in certain places. At the time, just 15 of these swollen bubbles had been identified. A new investigation in the wider region of the Yamal and Gydan peninsulas has revealed that 7,000 or so of them have cropped up, and the concern now is that they could explode at any moment. Scientists have discovered as many as 7,000 gas-filled ‘bubbles’ expected to explode in Actic regions of Siberia during field and satellite surveys. 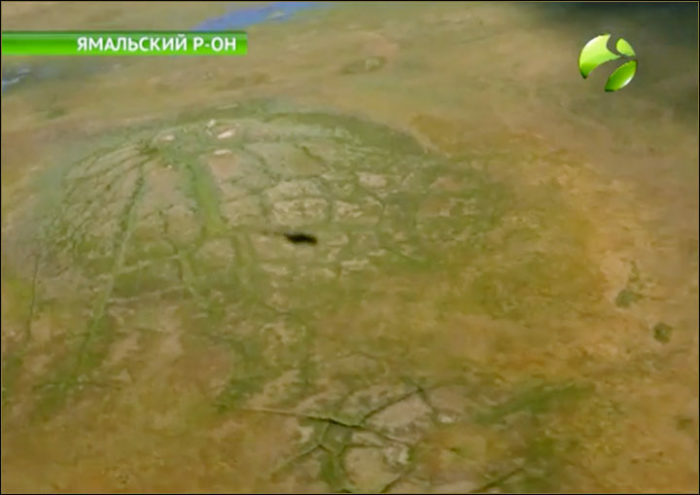 The bulging bumps in the Yamal and Gydan peninsulas are believed to be caused by thawing permafrost releasing methane. 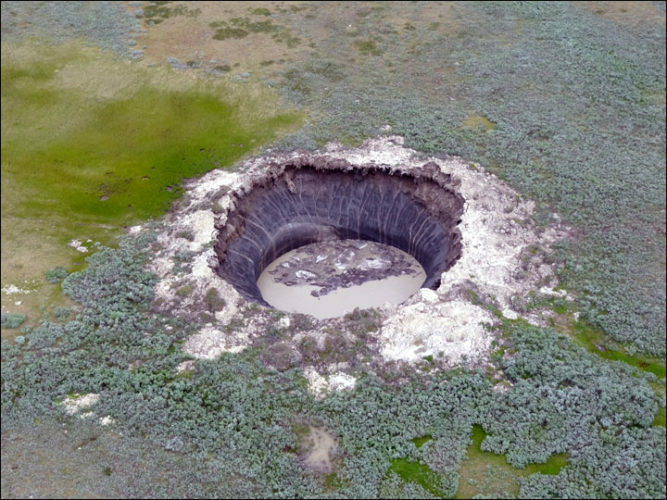 The region has seen several recent examples of sudden ‘craters’ or funnels forming from pingos after what scientists believe are caused by eruptions from methane gas released by the thawing of permafrost which is triggered by climate change. 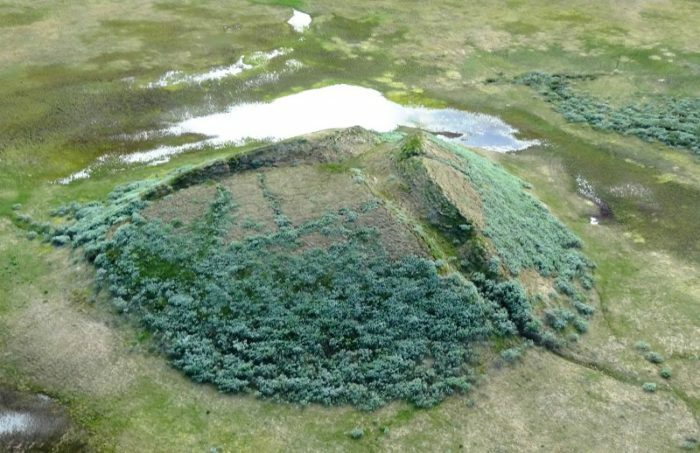 Scientists believe that thawing permafrost is a suspected reason for the cause of underground gas bubble formation. 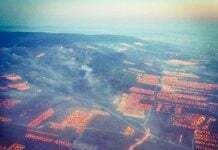 Analysis last year of the 15 Bely island underground gas pockets showed multiple excesses of greenhouse gas content compared with average levels in the atmosphere. 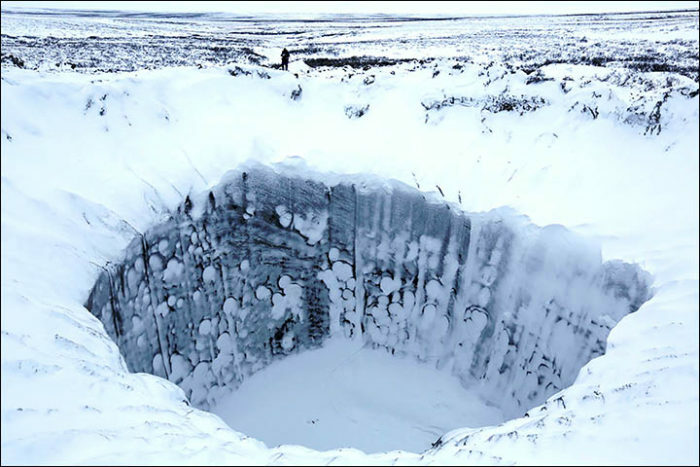 Recently there were accounts of a ‘big bang’ triggering the formation of a crater on the Taimyr Peninsula. 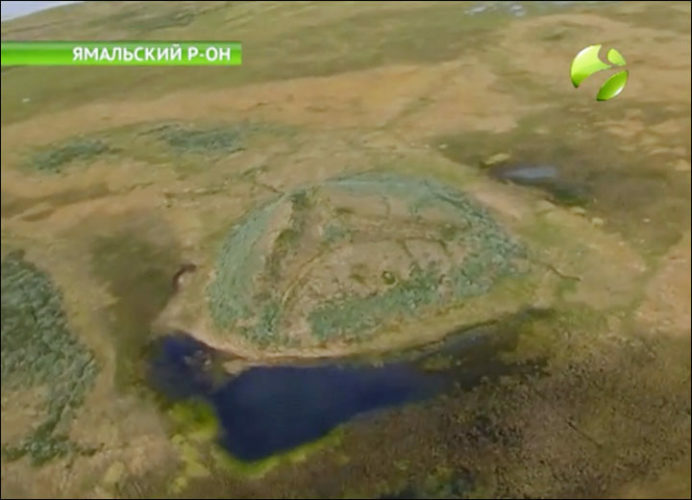 However, there was no pingo on this spot before the eruption in 2013. The noise could be heard up to 100 km away and one resident saw a ‘glow in the sky’ after the explosion, it was revealed. The question is now: Which bumps are dangerous and which are not. 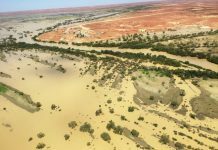 Scientists are working on detecting and structuring signs of potential threat, like the maximum height of a bump and pressure that the earth can withstand. 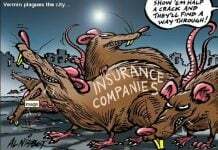 At first such a bump is a bubble. With time the bubble explodes, releasing gas. This is how these gigantic funnels may form.